From anything involving studying, coffee runs and downtime, school apparel provides perfect comfort pieces that are quick to pull off in order to serve as a functional outfit. These students serve up some style inspiration with their on- and off-campus looks below. Child development major Stacie Phan takes a study break at a nearby coffee shop. She paired her CSULB T-shirt with a flannel for a comfortable and effortless look. 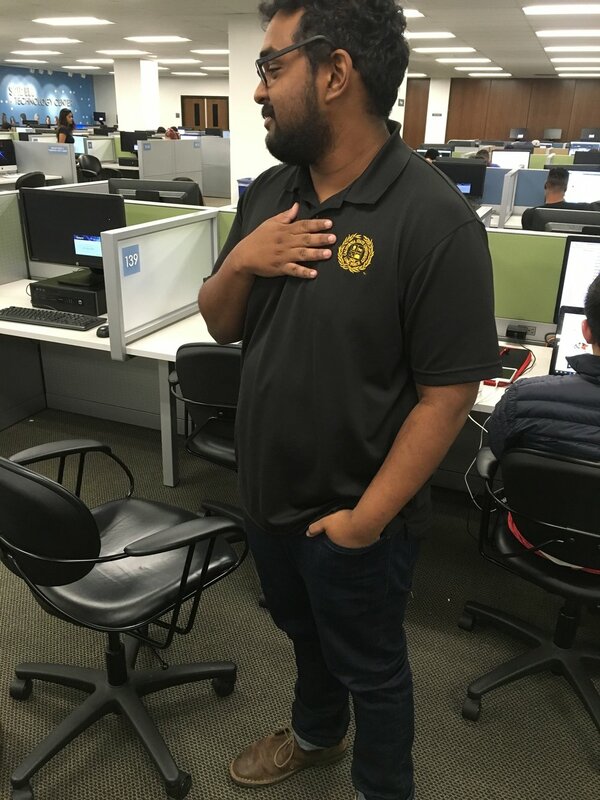 While many people opt to dress down in the library, mechanical engineering major Demitri Winalaratne shows style in his embroidered CSULB seal polo. Cuffed jeans and dapper shoes tied his outfit together. Communication studies major Candace Rice reps CSULB while walking to class in her black-and-gold attire. Her matching sneakers pulled together her casual ensemble. Journalism student Melody Morales rocks an LBSU embroidered hat for class. She added a pop of color by incorporating a cool athletic jacket.